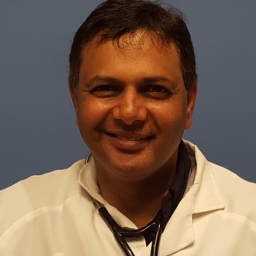 Dr. Shiraz Patel opened practice in 1990. Dr. Patel has a wealth of experience in his field and has years of experience working in Khayelitsha. He has realised the need for affordable and convenient specialized care for patients. He now has opened a full Day Hospital facility where patients come to get specialist ENT/Gynae/Surgical and Dental Care. Surgical procedures for Day Theatre can be done at the practice. Before relocating to Joburg, I have been seeing this doctor for almost 15 years and have never been disappointed. Best doctor I have ever been to in Cape Town. You do not wait long and you are treated very well from reception to the Dr's room. Excellent service. This has to be the best medical practice I've ever been to. I did not wait even a second for my appointment. I was treated with great care, I am super satisfied with everything from the receptionist to the Doctor himself. I'm very thankful for their service. He's very friendly, caring and he know's what is he doing, he loves his job. He treats patients equal. OMG Dr Patel is the best, i have stopped going anywhere else his the best. My surgery was a success, as a result, I am currently pregnant. Best medical care, friendly staff and very helpful. A very rare doctor to find nowadays, treated well and heal fast you don't waste your money and time by choosing his medical care. This is the best doctor that I have ever seen in cape town. Excellent work no to much waiting time the staff is very helpful they are also friendly. My best doctor, I have been using him from 2012 up until now I have never been disappointed.